What really happens inside America's most active death row chamber? "*I can’t remember his name or his crime. What I remember is the nothingness. No family members, no friends, no comfort. Maybe he didn’t want them to come, maybe they didn’t care, maybe he didn’t have any in the first place. It was just a prison official and two reporters, including me, looking through the glass at this man strapped fast to the gurney, needles in both arms, staring hard at the ceiling. When the warden stepped forward and asked if he wanted to make a last statement, the man barely shook his head, said nothing and started blinking. That’s when I saw it: a single tear at the corner of his right eye. A tear he desperately wanted to blink away, a tear he didn’t want us to see. It pooled there for a moment before running down his cheek. The warden gave his signal, the chemicals started flowing, the man coughed, sputtered and exhaled. A doctor entered the room, pronounced the man dead and pulled a sheet over his head. *"
— Michelle Lyons, from the Prologue. 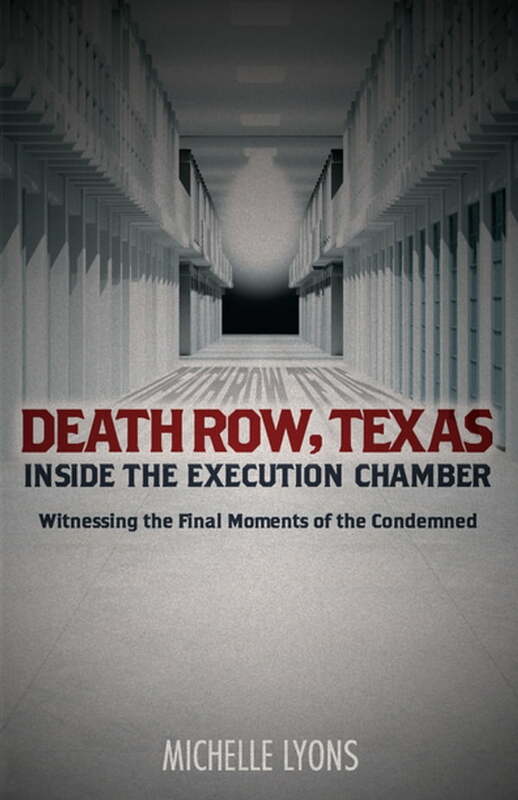 Michelle Lyons witnessed nearly 300 executions at the Texas State penitentiary. This behind-the-scenes look at those haunting final moments of life relates shocking true stories of the inmate, his/her family members, prison officials, the death-row chaplain and the victim’s loved ones—all of whom come together in the death chamber.